A few months ago a columnist for the blog Reel Pop noticed three of the newest comedy shows on television all had their origin online or use the Web as a gimmick. 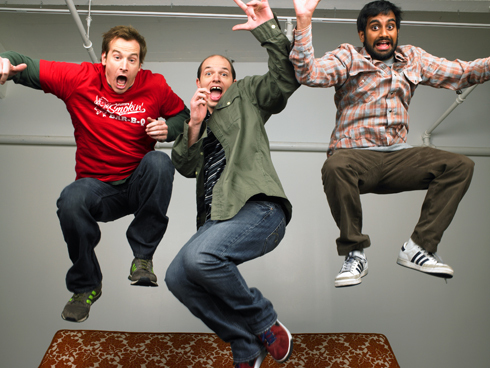 VH1’s “Acceptable TV,” MTV’s “Human Giant,” and FUSE’s “The Whitest Kids U Know” are all web-to-TV success stories. The New York Times noticed a similar phenomenon the other day at the Just For Laughs comedy festival in Montreal, where the hottest topic of discussion was sketch comedy and the Internet, not who is scoring the best TV deal. What’s interesting about these examples is that in the past comics would have to suffer through years of stand-up or sketch comedy performances to get noticed and maybe, just maybe, land a TV deal. It’s been the same for Just For Laughs. Stand-ups and sketch artists would travel to Montreal, hopefully make ’em laugh, and possibly leave with a network deal. Now everybody picks up a camera and does it themselves, from the creative to the technical. The Web is a very hospitable place for sketch comedy and is becoming lucrative for the artists (read: they’re making money). Getting on television is still the ultimate goal, but the ability to produce do-it-yourself sketches quickly and cheaply and distribute them immediately to the world is changing the comedy landscape. The Web has opened things up, says JoAnn Grigioni, the director of talent for the cable channel Comedy Central. There’s so much more that you can do with the talent that might not fit in a show or on the air. Comedy in general works really well on the Web. It’s the only genre where you can be successful in 10 seconds or in five minutes. In attendance were more polished stand-ups and sketch artists such as Louis C.K., Zack Galifianakis, Jim Jeffries, Stephen K. Amos, and a reunited Kids in the Hall, and also the Los Angeles comedy troupe Leon and Andy. 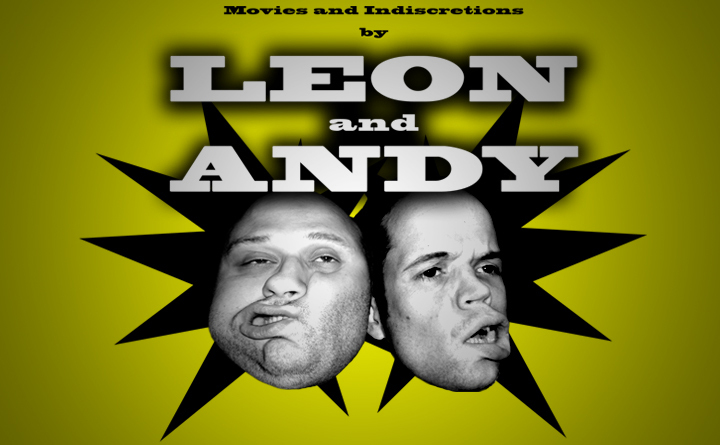 Leon Mandel and Andy Fisher post their bizarre shorts at weepirate.com, which is now their primary outlet. Posting a clip on YouTube or MySpace may get you noticed or jump-start your career — if you’re noticed through the fog of Star Wars kids, skateboarding dogs, and laughing babies. But smart homemade digital videos, ones with purpose, a story, and some production value, can stand out and be noticed, as Andy Samberg (he’s now on “Saturday Night Live”), Human Giant and the Whitest Kids U Know all found out. Comedy does really lend itself to the web as a medium, partially b/c it is so inexpensive comparatively (to say sci-fi, action, drama) to create. Boy, I watched an episode of weepirates. I feel scarred for life.